Sushi is one of Japan’s most famous exports and is a much-loved dish the world over. But although many consider themselves connoisseurs, there are few interesting facts about sushi which may come as a surprise. Here’s a run-down of some of the more unusual facts. Most people think that sushi comes from the Land of the Rising Sun, but it actually originated in Southeast Asia during the early part of the 20th century. 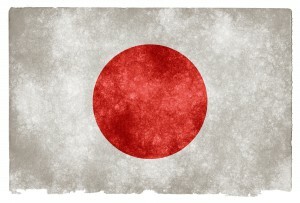 It eventually spread to China and was introduced to Japan around the 8th century. In its original form, the fish was salted and wrapped in fermented rice in much the same way that narezushi is prepared today. The Japanese adapted this preparation to their own tastes and instead of discarding the rice kept it as part of the dish. Numerous changes were made over the years which helped sushi evolve into a truly versatile cuisine. So although it might not originate from Japan, the country really does deserve a great deal of credit for its huge popularity around the world. 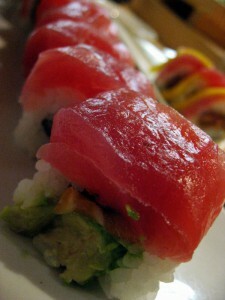 Tuna is one of the most popular ingredients in Sushi and has been consumed in Japan since the mid-19th century. The Bluefish Tuna is the most sought after and is highly coveted, so much so that a staggering 80% caught in the Atlantic and Pacific is eaten in Japan alone. Although this seemingly alarming number has occasionally caught the attention of the environmentally conscious, a recent survey estimated that the population of the Bluefish tuna has not actually declined that significantly. The fish used in sushi is not really fresh. Due to stringent food safety regulations in the US and Europe, raw fish must be frozen for a certain period of time in order to kill of any parasites. But before you decide to boycott your local Japanese restaurant its worth mentioning that the freezing methods are carefully employed to ensure that the raw fish, while remaining safe to eat, also maintains its original taste and texture. Japanese cuisine is prepared according to extremely exacting standards which are strictly observed by its chefs, both in Japan and the West. However, just to be sure that its gastronomic customs are being properly observed, Japan’s Agriculture Ministry recently created a panel to consider a kind of certification system for restaurants abroad. Included in its findings were a list of culinary crimes to be avoided at all costs including slicing fish too thickly, misuse of wasabi and over-boiling of rice! The Putter Fish is one of the most noteworthy additions to any sushi dish and is the main ingredient in Fugu. However, its lethally poisonous due to the presence of tetrodoxtoxin, in its organs. So deadly is this fish, that Japan has stringent regulations in place regarding its preparation. Indeed, sushi chefs have to undergo rigorous training before they’re even allowed to prepare Fugu dishes such is the potential danger. This interesting video can tell you a little more about Fugu and how it is prepared. 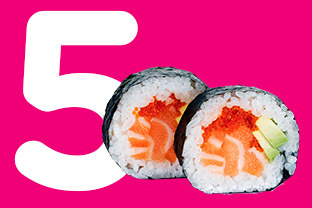 Now that you have whet your appetite why not have sushi delivered to you in London today!